Time Inc is giving away copies of Marie Claire to customers at its beauty shop Fabled. In what it calls an "innovative new distribution channel" Time Inc is looking to target "tens of thousands" of new readers for the women’s magazine. Customers shopping online and in store will receive a free copy of the magazine with their purchase. The announcement is ahead of the latest magazine ABC results set to be announced at midday today. Time Inc said that the new model will allow it to "expose the magazine to a highly targeted audience" and "enhance Fabled by Marie Claire’s consumer offering". For the six months to June 2016, Marie Claire’s circulation was 165,362, down 11.1% year on year. Of those, 133,801 were actively purchased. Time Inc said that a minimum of 10,000 customers will receive a free copy every month, and it expects this to grow. Fabled by Marie Claire launched in London in September last year. It is also available online, through a partnership with Ocado. 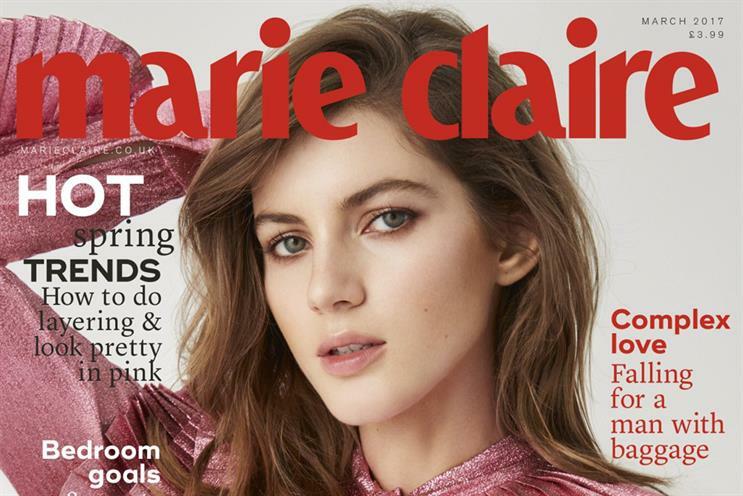 Justine Southall, Time Inc. UK’s managing director for fashion and beauty, said: "Fabled by Marie Claire is attracting premium beauty fans across the country. "Getting the magazine into their hands while they are in the Fabled by Marie Claire environment is a fantastic marketing opportunity for our print product. "This is an intelligent distribution strategy for Marie Claire that will ensure a highly relevant audience for our commercial partners."